Hehe!!! I'm still giggling over the title of this post. I originally was going to have this as a tag line on the cover of this pack I'm here to talk to you about today, but it didn't really fit. So instead, I got to use it as the title of this post. 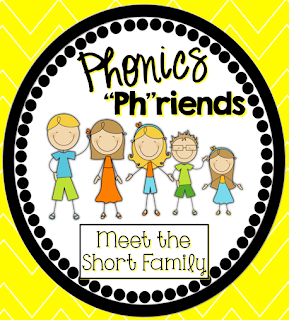 I was here not too long ago posting to you about how I teach phonics and I showed some snapshots of my Phonics "Ph"riends Bundle of Blends. While writing that post I was still working on my short vowel pack. I had a few of my wonderful, amazing followers contact me to give a little more detail about what's in this one now that it is complete. So to those fabulous friends - here is a closer look at The Short Family. Have I ever mentioned how much I appreciate all of you - those who comment and email, and those who just visit and read. It is an honor to have you here! And if you ever want to see me do a post on something, ideas or products or whatever, don't hesitate to ask. I will always try to deliver. Since it's summer, I don't have any student pictures for this post - so sorry =( But I hope I was able to give you enough pictures to see what you're getting. Ok, back to this "little" family. As I've mentioned before, I really like giving my students something visual and tangible to connect to whenever learning something new. I think it's so much more engaging and fun to connect to characters when dealing with phonics and word work. If I could write and illustrate my own children's books, this is something I would love to do. But, since I do not have those skills (not even a little bit), I get to grab some super cute clip art from some super talented people to help do it for me. (The Short Family characters are from Jessica Weible in case you were wondering). 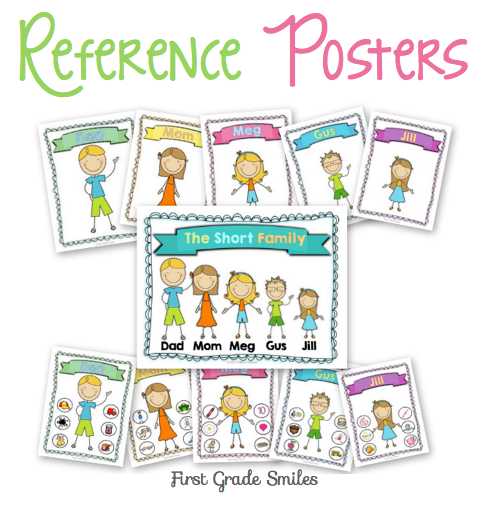 So in order to introduce my students to these new characters I use the posters you see below. I made posters with each character and then I have posters that include some of the graphics from their stories on it. I like to use the plain posters to introduce the characters and brainstorm other words we know that have that sound. 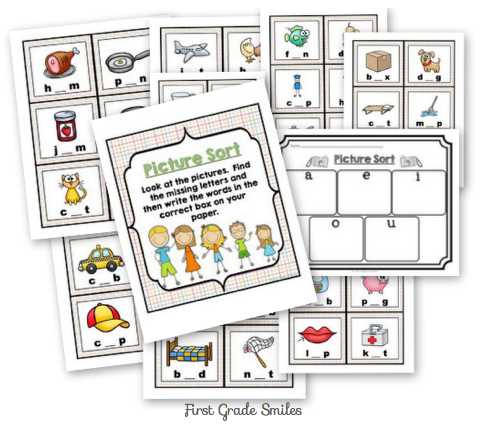 Then I put them into the Picture Sort and Word Sort centers below to use as sorting mats. As we read each character's stories, then I bring out the posters with the extra graphics. 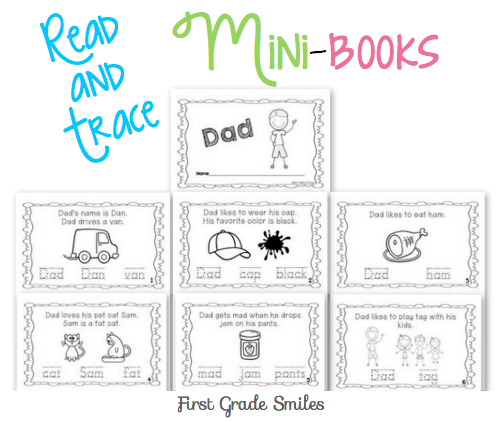 This is just an example of the mini-book for Dad, but there is one for each character. I tried to include as many different words for them to read and practice. The readability should be appropriate for those lower readers since I tried to include some early sight words and mostly decodable text. I read these stories to the students when I introduce the characters and then they have the chance to reread the books, highlight the short a (in this book) words and trace them. Of course they can color them if they have time too. We keep these in their book bins for free reading time. 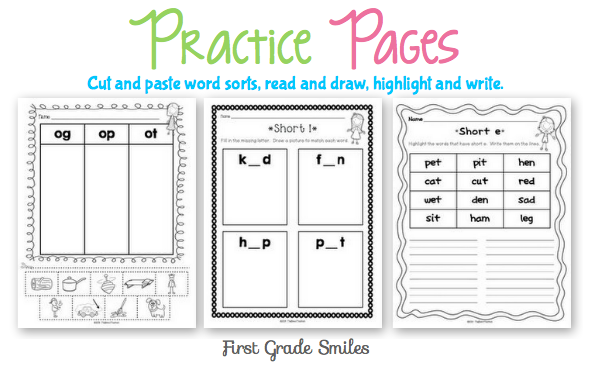 Here is just 1 example of each type of practice page included. 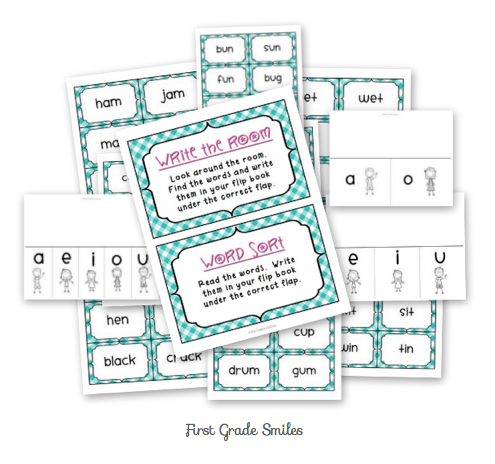 There are 8 pages of cut and paste sorts with different word families and 5 pages of both the read and draw and highlight and write - one for each short vowel. 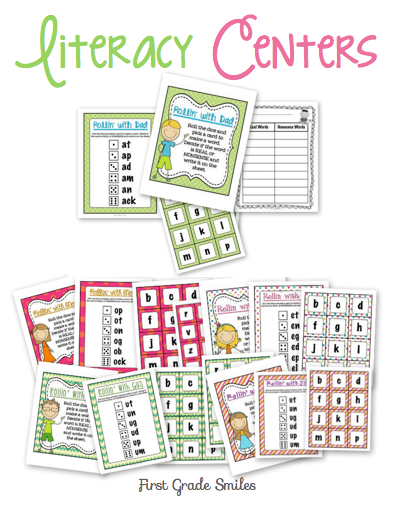 Next up are the 9 literacy centers included in this pack. 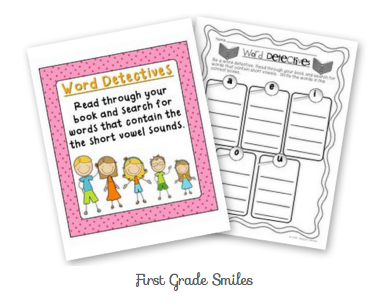 These are perfect for your word work stations in your classroom. Next up is this picture sort center. There are tons of picture cards. You don't need to use them all, but could pick and choose which ones work for you. Or you could use some one time and then change them the next time for a whole new center. The same goes for the Word Sort center - there are tons of words and you can pick and choose which ones you want. I included two direction sheets for this one because I know a lot of teachers like to do write the room. Personally, I would rather have the students complete this on the floor or at a table so they can use the sorting mats. I included a few choices of flip charts to use for recording at this center. 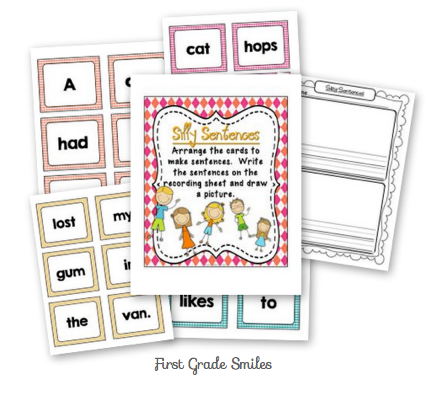 Silly Sentences is the next center. Students have to find the same colored words and put them together to make a sentence. There are 5 sentences to make, but I only have my students choose 2 of them to write on the recording sheet and illustrate them. I hope this helps you see what is included in this pack and how I use it with my students. If you wanted a closer look at the Bundle of Blends you can click on the picture below to go that post. Or if you are a blogger, you can link up a post of your own about how you teach phonics and do word work in your classroom. Ok now for the fun part. Those of you who made it all the way through that long post now get the chance to win this or any of my Phonics "Ph"riends products. 1. 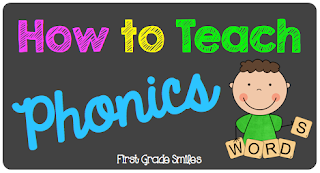 Pin any picture from this post OR from the How to Teach Phonics post and write a brief comment about what you like about it or what it is. 2. Leave a comment below that includes the URL of your pin AND your email address so I can send it to you if you win. If there is something else in my store that you want instead, you can hop over there and pin the product and leave that URL instead. I will pick 2 winners using a randomizer. You can enter as many times as you want and each pin will be a different entry. You have until Monday night after the finale of the Bachelorette to pin. I'll pick the winner after I'm done watching this little guilty pleasure. I hope poor Des ends up with someone. The commercials don't look too promising. Ok - enough reality gossip ---- get pinning!!!! Can you email me? I just want to tell you something. Thanks! This packet is awesome and "phun"!!! I looooove Phonics "Ph"iends as this will be a vital and unique packet to assist me in the teaching of Phonics. This packet is the 'bomb'. I love this! Adorable and clever! !